Well done! How are you holding up, painting such massive waves of models? Are you coping OK? 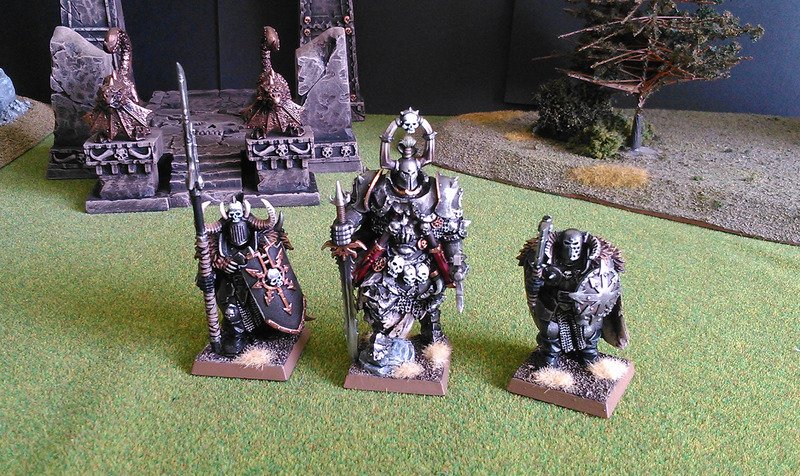 For models that are being painted in such large lots, your painting standard is very impressive. That is quite an effort. All these in 3 weeks time? I am speechless. Well done ! 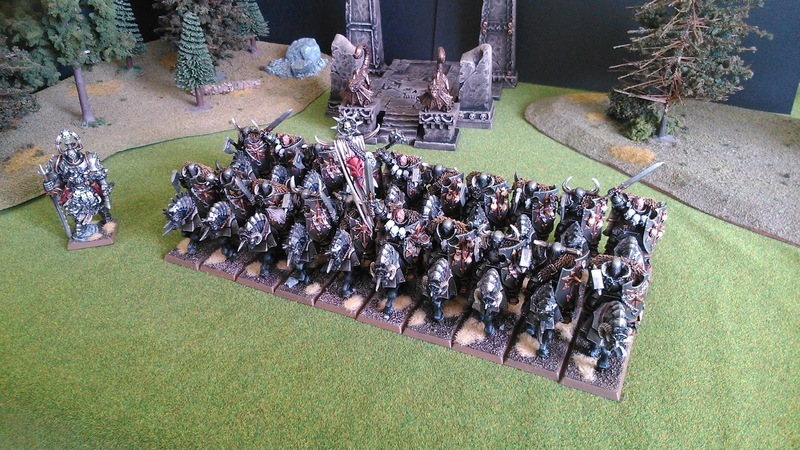 Keep up the pace and we will have taken back Kislev by the end of the year. 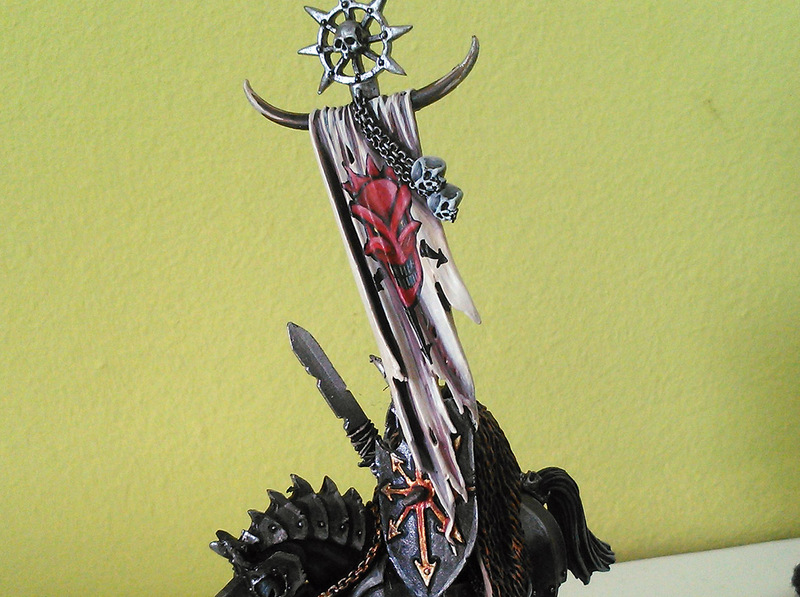 Seriously, nice colour scheme, nice highlights and great final result! If only I were able to complete something so majestic! The entire army has been painted in about 2 months. I did it because we have a deadline to finish our armies (and also, because I am currently searching for a job, so I have much more time than in normal conditions). This way to paint is a little bit boring, but is faster; and when you finish with them, you have a large amount of minis whose number worth the effort. Hauptmann Gustl and -specially- Hoodling, your armies have a large infantry units too! And, sincerely, your comments help a lot. And that's why I miss being unemployed! seriously though, this is epic progress, and at such high quality. The unit is painted to a very high standard. Good luck with the job search. I've got to agree with what others have said. Impressive quality for painting so many figures in a brief amount of time! Add one 'impressive' from me. Really beautiful units. Well chosen colour scheme. Wow, that guy is huge. Looks impressive -- as does that huge unit of knights! I saw the pics on my phone earlier, and thought 'Yep, ok'. But I keep forgetting how utterly rubbish it is seeing pics on a phone. I saw them here and thought "HELL YEAH!!" The unit of knights is stunning, a wall of iron that looks unstoppable and gorgeous at one and the same time. Great stuff. you guys keep on trucking! 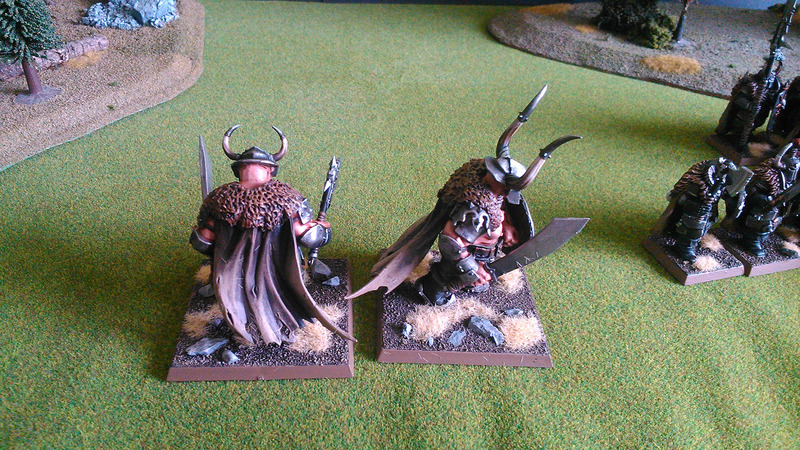 considering how big his lieutenant Engra is, I am really curious to see how you will fit Asavar on a 25mm. Have you thought this through? also, that knights banner is awesome. show us a frontal close-up when you get a chance. Could just make him ogre-sized. Break the 40mm/infantry rules like they did for the Putrid Blightkings etc. Amazing work all around. You're doing a wonderful job with this project. Wouldn't like to face those fellas on a battlefield! Very nice unit of knights. 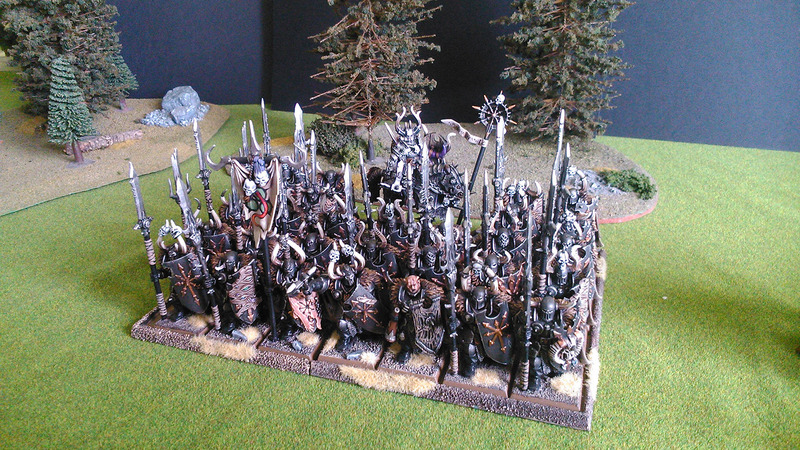 Some of the best chaos models ever. Yes Latek, I like these models more than the current ones. On the base question, I though a lot on it. 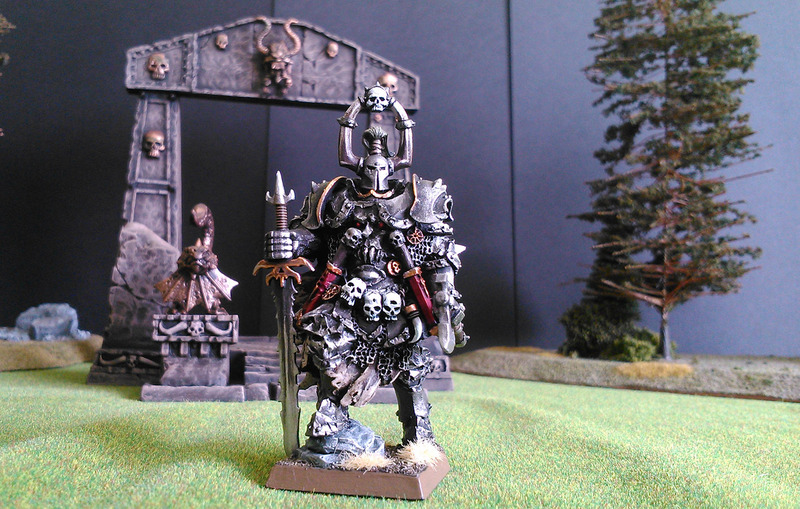 But finally I decided to fill him in his correct base, as a lord of chaos he is, that of 25mm. 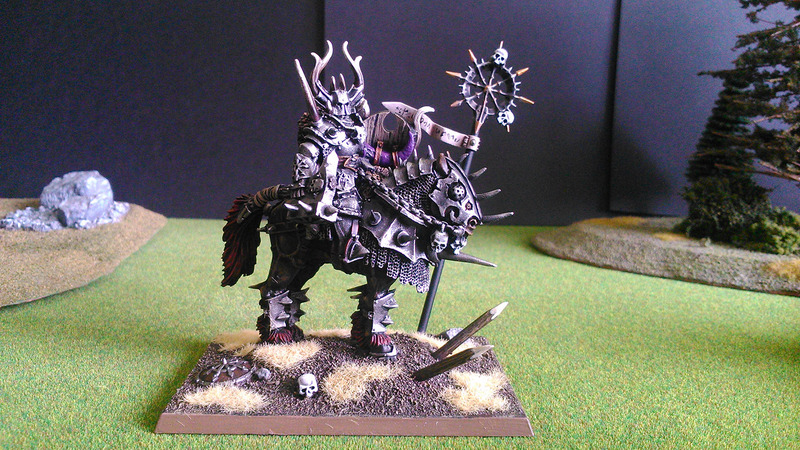 If not, as I want to fill him in a warriors of chaos unit, the base must be 50mm. And this is very large for him. So, simply he will be placed in the corner af the unit. 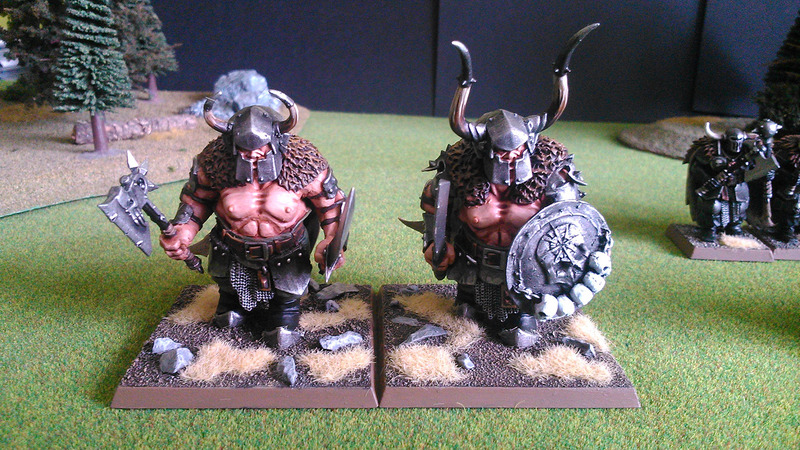 Another possibility is to fill another 25mm base beside him (on his left), with a chaos familiar. thanks for the banner close up. looks good! when it comes to Asavar Kul, maybe we are all not thinking big enough. He is THE GUY, the Chosen of the Gods, leading the biggest chaos horde the world has seen in recorded history up to this point. Having him as a regular infantry model (even an awesome one) doesn't quite cut it. I would suggest having him on some sort of platform, raised above his legions. Could be something along the lines of the warshrine or some sort of scratch build throne/palanquin or maybe similar in concept to the dwarf shieldbearers. Then come up with some special rules so a couple cannon shots don't end his run prematurely. It would look great if he was part of a unit similar to the skaven contraptions. I've seen your war altar, you have the skills. Remember, you'll only build and paint one Asavar Kul in your life, make it count. More troops for chaos. Some fillers I hope yout like it. And tomorrow, 10 (chaos) trolls, I am just finishing right now. 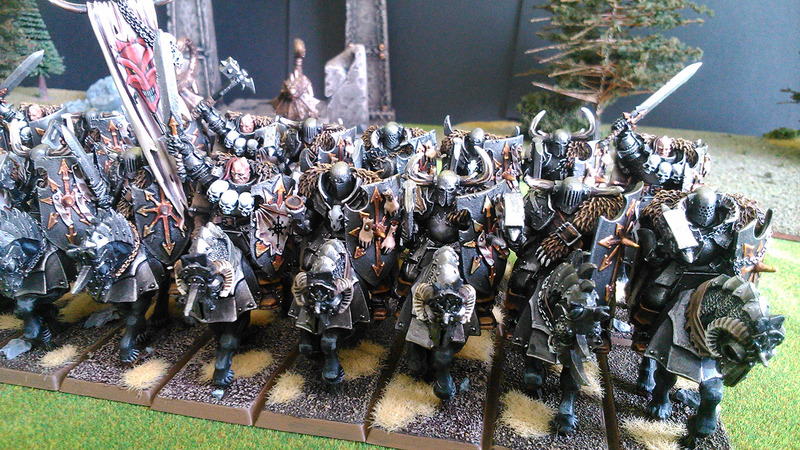 So that Chaos Warrior Lord is a unit filler, standing at the back and commanding his troops forward? I would hope the rules had room for that kind of characters. Oh, and they all look absolutely splendid. 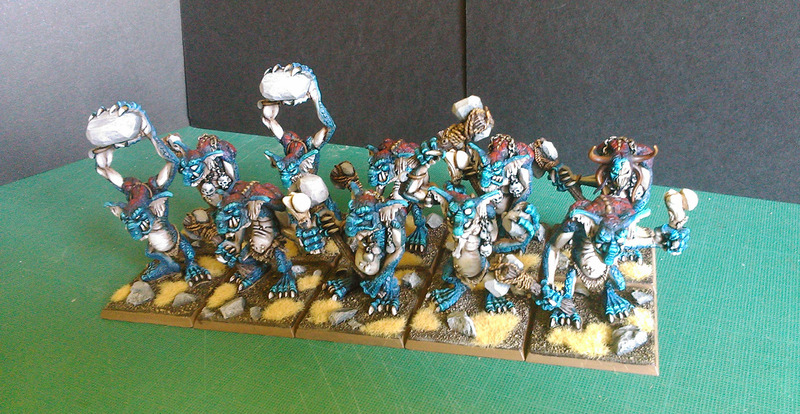 Especially like how the colour of the Trolls goes to turquoise. Adds that nuance. And I think your photos are quite good actually.